The site of a ghost town which was lost at the turn of the century, mysterious Glastenbury Mountain is located just outside of Bennington, Vermont. The vast wilderness is host to many legends, among them tales of a “man-eating” rock and several Bigfoot sightings. The area is also the location of several unexplained disappearances over the years, one of which lead directly to the formation of the Vermont State Police. Legend Hunter Jeff Belanger explored the ruins of the ghost town Fayville to find out more. 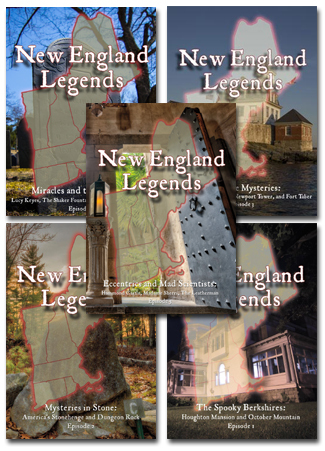 Check out Jeff Belanger's Emmy-nominated TV series: New England Legends -- as seen on PBS! © 1999-2019 Ghostvillage.com, All Rights Reserved.